Opioids: How Are They Affecting Your Workplace? | Zeiler Insurance Services, Inc.
We hear a lot about the opioid epidemic in our country, that is, the use and abuse of pain medications including oxycodone, hydrocodone, morphine and fentanyl. These medications were nearly unheard of just a few years ago, but now they appear in the news almost daily. Unfortunately, when these medications were introduced, patients and doctors thought they were non-addictive, and only later did we discover that they are highly addictive and dangerous. It’s likely you know someone - a family member or a social acquaintance - who is addicted. It’s also highly probable that there are employees at your workplace who depend on these drugs. This is cause for concern and vigilance on your part. 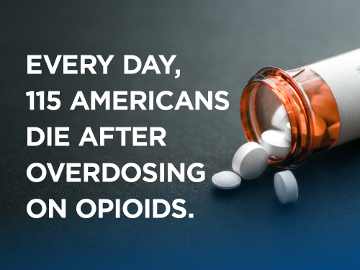 Those dependent on opioids become addicted very quickly. A workplace accident, a surgery, even a procedure as simple as wisdom teeth removal, often leads to a prescription for this class of pain medications. As the meds wear off the pain returns, leading users to pop even more pills. It becomes a vicious cycle with a desperate need for more and more painkillers. Affected workers may look and act normally for a time. Eventually, the medications can lead to impairments, with symptoms such as drowsiness, anxiety and depression. Those taking the pills often have impaired judgment, are less productive and experience more workplace accidents. Now imagine an addicted employee operating a forklift, crane, jackhammer, drill, bulldozer, truck or working with any type of tool. The risk of injury is exponentially higher than the same task completed by a sober employee. Your company can be at risk even if an addicted employee sits at a desk all day. Whether the employee is writing computer code, reviewing contracts or monitoring a production line over a computer monitor, he or she may be inattentive to detail, have errors in judgment or not complete work on schedule. Whatever role the addicted employee plays in your workplace, opioid addiction affects the cost of healthcare and workers’ compensation insurance as claims rise. Observe any changes in a worker’s behavior, especially in one who has been treated for an accident or injury. It’s possible that he or she is using pain medications. Investigate accidents that occur at your workplace (or driving accidents involving employees), checking whether opioids might be involved. Consider that a worker with a rising absenteeism rate may be struggling with opioid use. Monitor workers’ compensation claims to evaluate the type of care injured workers receive. If you are in the construction, entertainment, recreation or food service sector, be especially vigilant, as National Safety Council research shows that these industries have a substance abuse problem that is twice the national average. Review and update your company drug policies and drug testing to include opioids (don’t forget pre-employment testing). Keep in mind that a zero-tolerance policy may not be the best way to control an opioid addiction. Thoroughly document any policy violations, recognizing that an impaired employee is a danger to others in the workplace and to your company. Provide training to supervisors and employees about the dangers of opioids and how to spot potential problems in your workplace. In working with and supporting an employee with an addiction, follow regulations in the Americans with Disabilities Act (ADA). Direct the employee to resources for assistance, including your employee assistance program (EAP) and rehabilitation. Provide coaching, letting the employee know that getting medical help is essential, and that if he or she seeks assistance the job will be waiting upon their return to work. Calculate the real costs of substance use in your workforce. Request a kit containing a guide to being proactive about opioid use in the workplace, tools to update your policies and benefit programs, fact sheets, handouts, safety talks and posters. Comments for Opioids: How Are They Affecting Your Workplace?